The Government has issued fresh summer travel advice after a surge in the number of Britons requiring consular assistance for serious incidents in some countries including India, United Arab Emirates and the Philippines. This increase in serious cases, such as arrests and hospitalisations, demonstrated the importance for travellers to respect local laws and customs and take out comprehensive travel insurance, said the Foreign and Commonwealth Office (FCO). Overall, consular staff gave assistance to 19,244 Brits in need in 2012/13, according to data included in the FCO's British Behaviour Abroad Report 2013. The official figures revealed a 3% drop in the overall number of British subjects requiring assistance while consulate staff in Spain, the United States and France continue to deal with the most cases. Foreign and Commonwealth Office Minister Mark Simmonds said: "I encourage all British travellers to do everything they can to ensure a safe and enjoyable trip by taking some basic steps to prepare themselves before departure, including taking out comprehensive travel insurance and researching their destination." Spain, with more than three-quarters of a million British residents, was the country with the most requests for consular assistance. However the figure of 4,658 was down from 5,405 the previous year. Overall, the number of Britons arrested abroad for drug offences dropped to its lowest level for four years, with a decrease of 34% since 2009/10, while the number of general arrests and detentions has dropped 21% over the same period. There were 28,783 cases of lost or stolen passports and travel documents in 2012/13, a slight rise on the previous 12 months. 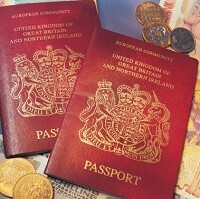 The FCO is urging people to remember three key things before they go away this summer. Firstly, take out comprehensive worldwide travel insurance - but only after reading the small print, declaring any pre-existing medical conditions and ensuring it covers you for everything you want to do. Secondly, check health requirements to ensure you get the right vaccinations and take any necessary medication such as anti-malaria tablets. Finally, research your destination as the more clued up you are, the smoother your trip will be and the less likely you are to find yourself on the wrong side of foreign laws.